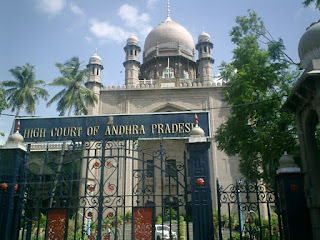 The Telangana High Court (Telugu: ఆంధ్ర ప్రదేశ్ హై కోర్ట్) is the High Court of the Indian state of Telangana . It was set up on 5 July 1954 under the Andhra State Act, 1953. 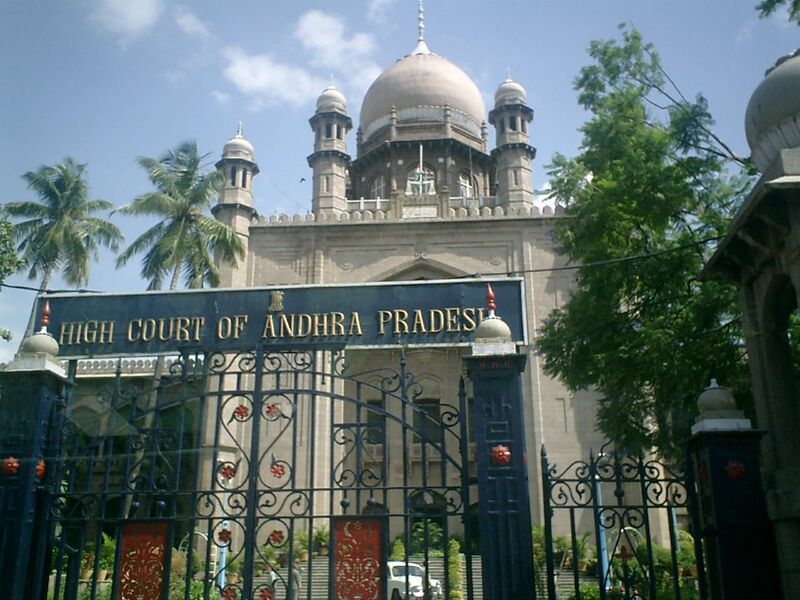 Its seat is in the administrative capital, Hyderabad and has a sanctioned judge strength of 39. The State of Telengana was formed in 1956 by the merger of the Andhra State which was formed in year 1953(By Dividing Madras State) and the Telangana area of the Hyderabad State which was acceded by Govt. of India on 17 Sep 1948 from Nizam. After its construction, a silver model of the High Court with a silver key was presented to the Nizam VII Mir Osman Ali Khan by the Judiciary during the Silver Jubilee Celebrations in 1936. The facsimile of the buildings was perfectly carved in a thick sheet of silver weighing about 300 kg. The model is now in the Nizam’s Museum in Purani Haveli. The main building of the High Court was constructed in the year 1919 by the then Nizam’s Government accommodating Six Judges besides accommodation for the Office Staff, record rooms and Advocates’ Hall. When the High Court Telangana of was formed in 1956 as a consequence of States Reorganisation Act, the Judges strength was increased to 12. The existing accommodation at that time was only inadequate to meet the requirements of the larger High Court and so the additional building was constructed in 1958-59. The entire office rooms, record rooms, chambers of advocates (42 in all) and the rooms for law officers were located in this building. The record rooms, Officer rooms in the main building were modified to provide chambers and Court Hall accommodation for 14 Judges. By 1970, the institution of cases of the High Court has gone up to 35,000 as against 20,000 in 1958. The Judges strength had also risen from 14 to 21. To provide additional accommodation for Judges, Staff and Advocates and Law Officers, the third building was proposed and the work was completed in 1976. The Law Officers strength was increased from 8 to 18 by 1980 and the institution of cases had gone up to 55,593 cases. In 1979 a plan was drawn for the four storey Annexe building and due to lack of funds that could not be taken up. There are at present 20 Court Halls and 24 Chambers located in the High Court main building and Annexe buildings. The present building for which the foundation stone is being laid by the Hon’ble the Chief Justice will have 8 Court Halls and 8 Chamber for the Judges. Some of the Court Halls located in the Varandahs and in the Office rooms will be restored to their original position. The institution of cases had risen from 20,078 in 1958 to 1982,123 including miscellaneous cases in 1985. Now the pendency of cases in High Court as on 24 July 1987 are 84,855 (i.e., 66,276 main cases + 18,579 miscellaneous cases). The Government of India is contemplating to rise the strength of the Judges of this High Court to 36 and in such case, more funds have to be released for the construction of Annexe buildings. After the completion of this building, the main building and Annexes buildings can locate 24 Court Halls and 26 Chambers.